My name is Victor Ho. I am a Hong-Kong born New Zealander. I am fluent in English and Cantonese. I went to school locally (Avondale College class of 97) and lived most of my life in Auckland. I graduated with a Bachelor of Dentistry (BDS) degree at the University of Otago in 2002. My work experience includes public sector (Christchurch Hospital) and in private practice both in Christchurch and Auckland. 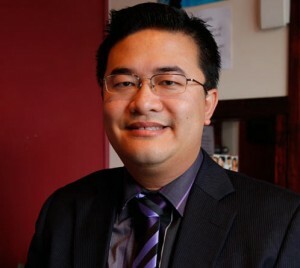 Since 2006 I’ve been the sole dental practitioner at Dental On Mt Albert. 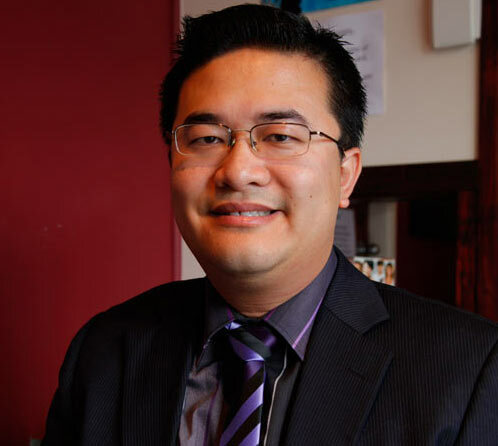 I enjoy the Mt Albert community; my clients are what makes this practice special. Outside of dentistry, I love spending time with my wife Candice and two young daughters – Abigail has started school and Cassandra is enjoying pre-school. Being a keen father, I am heavily involved with doing a lot of the pick-ups and drop-offs for my girls – hence my slightly unusual working hours. It is a pleasure to be able to look after them and no doubt the working hours will increase again when they get older! I’m a mad-keen cricket, league and rugby fan. I love going to pub quizzes – specialising in geography science and sports (got a good question please bring that along!). I get R&R at the golf course (love roaming in those golf carts!). And at the end of a busy day I try to squeeze in some gaming on my playstation 4. I aim to achieve a point of difference when I provide dental care to my patients. I like to put myself in the patient’s position and understand their point of view I like to put them at ease by explaining what is going on, why this is happening, and ensure they are comfortable throughout the procedure. My clients get a range of options when I provide treatment, I discuss the pros and cons and the costs, and ultimately it is then the patient’s choice which option to take. At Dental on Mt Albert, I provide all facets of dental care. My strength, as commented on by many of my clients, is my ‘bed-side’ manner. I promote prevention and education so my clients can improve on their oral status. Dentists have a stigma of being “scary” and only “drill-and-fill” – in our dental surgery we try to move away from those misconceptions by demonstrating to our clients that dentistry at our clinic can be a pleasant experience.